Wireless charging is one of those innovations that really seem ‘futuristic’, for the lack of a better word. The idea of just placing your device on a surface and charging up the battery was undeniably cool, but wasn’t wireless charging in the truest sense. Going mainstream in 2012 with the launch of the Nokia Lumia 820 and 920, wireless charging caught on pretty soon. 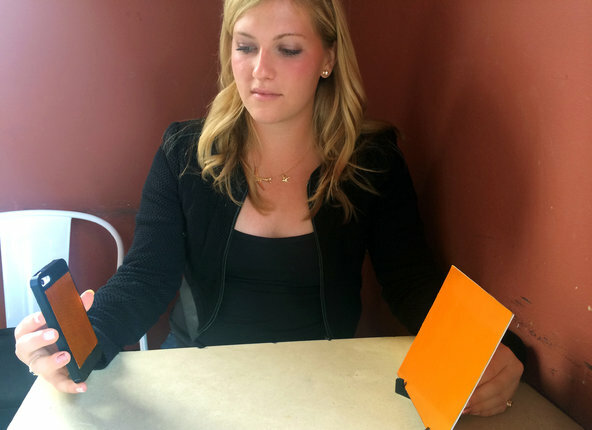 Coffee shops, restaurants, cafes and other establishments started offering wireless charging pads, and eventually Android devices also offered the feature, beginning with the Google Nexus 4. The current type of wireless charging used is actually called inductive charging, and involves the transfer of power via an electromagnetic field. Basically, it uses a pair of induction coils and induction coupling to transfer energy. Because of this, you had to have the charging device close to the charging pad to maintain energy transfer. Plus, there was a fair amount of heat generated, in addition to the fact that charging was slower than traditional wired charging. The inductive charging used in such devices and charging pads was part of a worldwide standard called ‘Qi’, which is supported by biggies like Nokia, Samsung, LG, Sony, Blackberry and Motorola Mobility. Enter uBeam, a new contender to the wireless charging throne, who have developed technology that lets you charge your device anywhere in the room, with no need for charging pad contact! Here’s more about the revolutionary technology. Introduced over 3 years ago, uBeam was just a concept that made something almost impossible seem possible. Cut to the present, and they’ve actually presented a working protoype. uBeam, first and foremost, uses ultrasound technology to juice up your devices. Similar to WiFi, it can even use repeaters or multiple transmitters to amplify signals around your house, so you can basically charge your phone no matter where you are. There’s of course a limit to the range, and even though a particular value isn’t revealed yet, it’s supposed to have the range of ‘a whole room’. The best part? The emitter is hardly 5mm thick, so it can be actually embedded into the wall or any other place without making it look out of place. So how does it work? It’s pretty simple actually, the emitter converts electricity into ultrasound waves, which is caught by the device and then converted back into electricity. Since ultrasound waves have almost no penetrative abilities, it will require larger emitters or repeaters for larger areas. But according to CEO Meredith Perry, range won’t be an issue, since the technology scales really well. In fact, she’s confident that uBeam will one day become as ubiquitous as WiFi. The working prototype of uBeam is apparently ready and will form the base for commercial and business applications in the future. We’re extremely excited in this development and can’t wait for it to be actually implemented! Looks like the Qi Alliance will have to step up their game, their resonance charging technYour thoughts? Wireless charging? Wow! this is the best and latest. I wish this is supported by Tecno.